The job of the oil filter in your car is to filter the oil which circulates through the engine. The oil lubricates the different components of the car engine; thus, it is essential in helping your car run smoothly. However, as the oil circulates through the engine, it can get contaminated. If the contamination is left unchecked, then it can lead to severe engine damage. This is why you need a clean oil filter and an oil filter that is actually working. It is also why you need to change your oil every three to eight thousand miles. Oil filters cost about $6, engines cost a lot more. If your car’s oil filter is damaged in any way, if it is clogged or leaking, it will impact the running of your car. There are specific symptoms which will indicate all is not well with the oil filter. When this happens, replacing the old oil filter with a new one is the best way to avoid any permanent damage to your engine. Here are 5 indications that your oil filter is damaged and needs an immediate checkup or replacement. One of the first and most obvious indications that all is not well with your oil filter will be displayed in the performance of your car. If the oil filter is clogged or faulty, you will notice a drop in the acceleration level falls even when you step hard on the gas pedal. This happens because the engine is unable to generate sufficient power for the car. The performance of your car will continue to diminish if the issue is not resolved quickly. It is vital to know that one of the highest repair costs comes from damage to the engine. Addressing the issue as quickly as possible is the best way out of sizeable repair costs in the future. If you are based in Phoenix where sandstorms during the summer can get rather intense, or live in a city with similar weather conditions, the dust from these storms could easily contaminate the oil leading to extensive damage to the engine. Ensuring your oil filter is working properly becomes that much more crucial if you want to avoid engine damage! The engine will face severe functionality issues. The moving components in the engine will lead to increased friction and generation of heat leading to an overheated engine. The car will display the “Check Engine” light. Incidentally, one of the highest number of car repair issues are caused by people overlooking or ignoring the “Check Engine” light! Don’t do that. Your car oil filter is clogged or leaking. You will notice that the oil pressure starts to randomly drop while driving. The most common reason for this to happen is when the oil flow to the engine is not adequate or has stopped. For an engine to run smoothly, it needs lubrication. However, without lubrication, the different metal parts of the engine will start to grind against each other. When this happens, in addition to the overheating caused by the friction of the grinding parts, the engine becomes very noisy. This noise, which is caused by the grinding of the different parts, can be easily heard when driving. Again, if left unchecked even at this point, you could be staring at severe engine damage leading to repair costs which could easily run into the thousands! Another easy to notice indication that your car oil filter needs an immediate checkup or replacement has to do with the color of the exhaust fumes. If the fumes from the tailpipe are black or dark brown or just look dirty it is usually an easy indication that the oil filter is clogged and the oil is flowing into the exhaust system. In addition, you might also notice a burning odor inside the car. 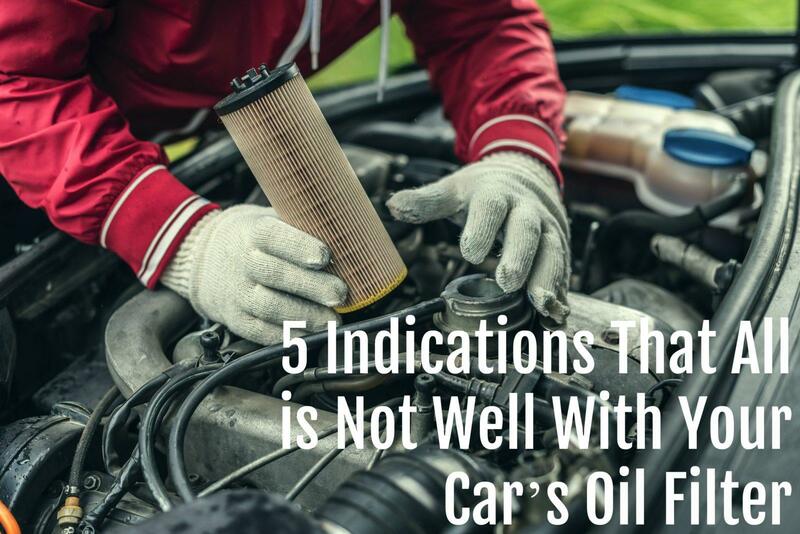 If you notice either of these conditions, get your car oil filter checked immediately. The performance of your car will continue to diminish if you do not address the issue of a clogged or leaking oil filter quickly. It is also fundamental to know that one of the highest repair costs come from damage to the engine. So addressing the issue as quickly as possible is the best way out of huge repair costs in the future. If you have any issues with a clogged or leaking oil filter and you’re in or around Phoenix, AZ, give Virginia Auto Service a call today at 602-266-0200 or schedule a visit online as per your convenience.